I have been knitting. Yes, I have been knitting and doing so somewhat obsessively. that is plied together, which makes the yarn feel more organic/natural. Twist is a pleasure to work with and makes a rather solid knitted fiber and I know I said it before but it is very soft and feels wonderful next to skin. beautifully with this hand-dyed yarn. I am using my favorite needles (HiyaHiya circulars), in U.S. size 9 for this pattern but I think I could have gone up to size 10 as the yarn makes for a pretty substantial knitted fiber. I think I will be able to soften the drape of the scarf if I block it with some vigor. 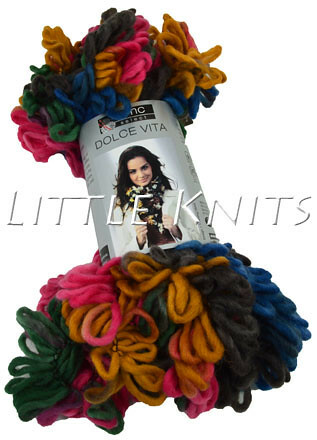 We have ordered all the colors Malabrigo had ready for shipment for the Twist and I cannot wait to get my hands on it. As to the pattern, Prismatic Scarf is a great (free!) 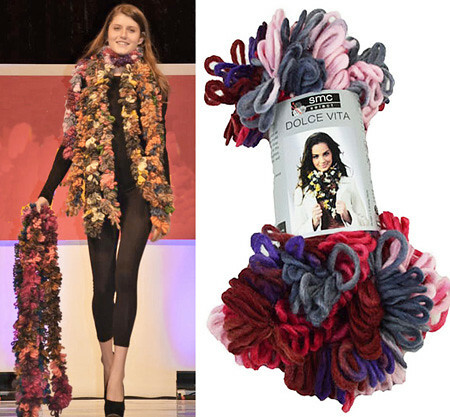 pattern for hand-dyed yarns as it shows their beauty by allowing the colors distribute evenly on the knitted fiber. I know that I will be knitting a few as gifts – it is a quick and easy knit and it is addictive like your favorite snack that you cannot put down. Hope you are all well and knitting and crocheting with a smile. Here are the Divine patterns I promised yesterday but could not load up. There is the Divine Jacket that comes in small, medium and large sizes. 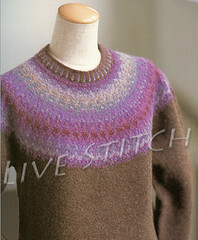 There is Divine Startstitch Cardigan that comes in small, medium, large and extra-large sizes. Then there is the Divine Ivy League Vest shown in small, medium, large, extra-large, and extra-extra-large sizes. 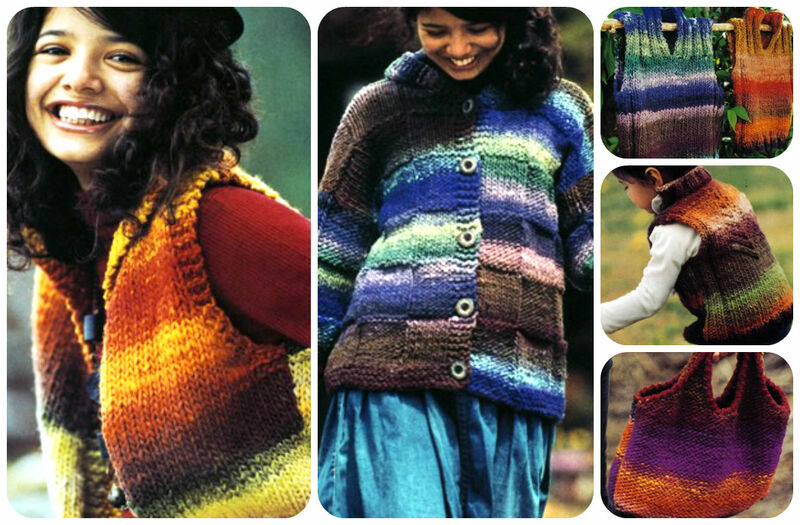 Finally, there is a booklet of 5 patterns that include patterns for a belted cape, a round-cable cardigan, woven yoke cardigan and batwing pullover. 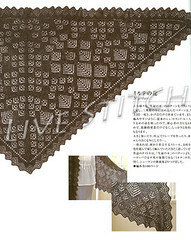 I am/I was knitting the Trellis Scarf from the 2006 Spring issue of Interweave Knits. I had a great start and was going along until the K7tog of the Estonian inspired pattern drove me a little bonkers (I broke my rosewood needles). This is not your usual K7tog. One K7togs, leaves the stitches on the same needle, yo and K7tog into the same stitches again and repeat this one more time before slipping the stitches off the needles. I frogged and tried again with very loose stitches and still no success. I know there are other ways of making a cluster but I really wanted to stick to the directions of the pattern as I respect and very much like the designer from afar. That being said, I have frogged the scarf and will be making some changes to the pattern. I had hoped to be done with the scarf this weekend but alas, it was not to be. On another and better note, Divine does not mind being knitted and frogged a few times. I did do something fun today, I played with two boxes of Mini Maiden from hand Maiden. I have another 10 or so colors still to post but I think I may be done for the night. I love this single ply silk/wool blend and Hand Maiden’s color work does not hurt either. Time for a relaxing cup of tea. This past week, after a morning appointment in downtown Seattle, I found myself free! Me, free, for a whole hour in downtown Seattle, what to do, what to do. 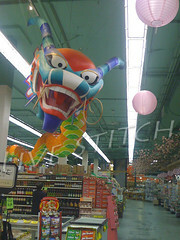 So I ended up driving to one of my favorite parts of Seattle, to the International District. 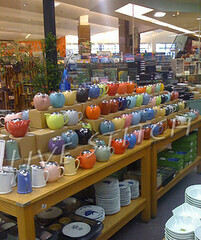 I stopped by Uwajimaya, an Asian grocery store with an adjacent book store. I wanted to get some much needed (hah! ), tea paraphernalia. 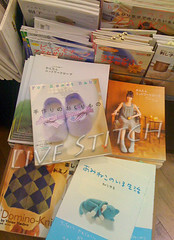 While I was there I decided to stop in the book store, Kinokuniya, just to look at the pens and other paper goodness. 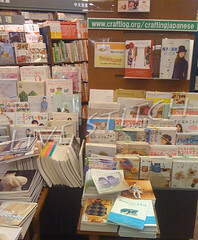 But before I could look at anything else I saw that the book store had created a craft section right in the front. I saw many cute books and but was drawn to two. The first one is called the Handmade Felt Book, an unusual choice for me as I have not felted for ages. 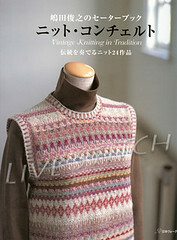 In addition, this book utilizes carded wool/rowing to felt with rather than first knitting and then felting. 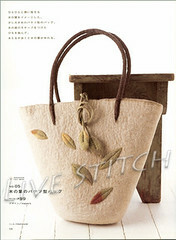 If I could make an analogy I would say that this form of felting looks like free-form felting and the book is very illustrative with a large number of photos and not much text – no matter, I cannot read a word of Japanese text but I so wish that I could. 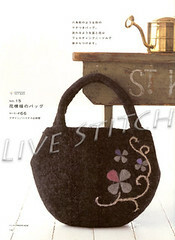 The fact that I cannot read Japanese text does not mean that I will not be trying to make the hats that I came to adore and the beautiful bags that I want to felt. 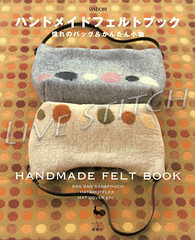 The book also has two felted tea cozies that are begging to be made. These projects are destined for my desk for later in the year, possibly mid-summer to early fall. I have yet to decide which will be my first…most possibly the bag with leaves. 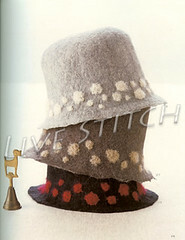 Then the hats, I hope I can make one that will fit my head the right way. I have quite a bit of research to do. I need just the right materials; for the wool I am thinking that the fiber should have some mohair to give the felted fiber texture. In addition, I need some molds so as to make sure both the bags and the hat come out right and fit. Do you have any ideas as to what I can use? The second book I purchased was a complete surprise because of the range of projects that it has within. 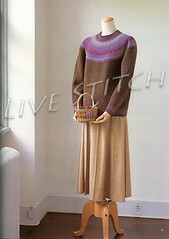 It is called Vintage Knitting in Tradition and has beautiful color work and lace. In my opinion a unique combination and a lovely one at that. The second project that is calling me is Der Blumenbrief, The Message of Flowers. It is easy to see why it is called the Message of Flowers and I think it would be beautiful if knitted with Kauni with the assumption that I can manage the gauge. I think Der Blumenbrief is simple, clean and beautiful. The above request for help applies to this project as well as the invite to start and knit it with me. I probably will not start this project until well after I have casted on Myrthen and have made some progress. Fair warning I am a slow knitter.